Whether they are new, or have been in use for years, every air compressor user will one day have air compressor problems and fixes. 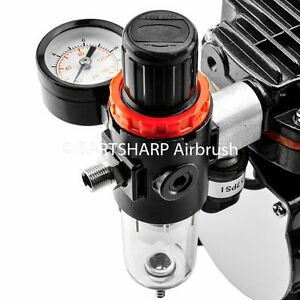 This page lists by category many of the common problems air compressors have, provides solutions for most of them, and then offers a comment section on each page to allow visitors to add advice where they can, and to ask questions on that topic when they are looking for air compressor problems and fixes. Scroll down, have a look, and visit the page(s) that address the air compressor issue you are having. will my air compressor take off lug nuts? is my air hose too long? can I plug the air line that goes to the pressure switch? Its not been used that much but the other day one of the motors was red hot and the rubber air intake was melting. On closer inspection the oil in that motor was really dirty so I drained it out. James, there could be many reasons why an air compressor runs, bogs down, speeds up again, etc. They are not the same for every compressor however, and since you don’t tell us the make or model, no way can we check. Perhaps you might add that information as a comment, and also please upload at least one photo of your compressor so we can see it. Thank you. The rings on my compressor have gone bad resulting in a tan oil/moisture mix when I drain my tank. I’m in the process of replacing the rings but my concern is the that there is now this gunk in my tank and air lines, What’s the best way to flush everything clean? I should add that I’m planning to paint a car in the very near future and I’m paranoid about oil coming out of the lines and contaminating my paint job. I will be adding a good water/oil filtration system prior to the paint job.